A Cup and Saucer from the Royal Doulton Series "Jackdaw of Rheims". It has the wording "The Jackdaw of Rheims. The Cardinal drew off each plum coloured shoe" running around the inner rim of the cup. It is in generally very good condition ,with the exception of a small firing fault on the underside of the saucer,(see photo 6).Otherwise there are no chips, cracks or crazing.The underside of each piece has the Royal Doulton backstamp, and the cup has the no. D2532. There is also a very faint no. on the underside of the saucer,which appears to be the same but difficult to see in the photos. ~ Bunnykins ~. A Royal Doulton 5.75" saucer depicting Mr. and Mrs Rabbit ( knitting) and 2 offspring watching the TV with a mouse chasing the wool and another on the TV. We also have a perfect condition cereal bowl listed of rabbits sailing away on a log raft with one of the offspring falling into the water! There are in a lovely condition, there are surface marks consistent with age and use. Rare Royal Doulton "The Kirkwood". Kirkwood Multicolour Flowers and Fruit Pattern c. 1940's. 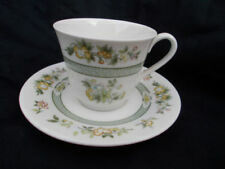 Stunning & Rare Royal Doulton Rosalee Pattern V1656. PATTERN H1790 SCALLOPED. 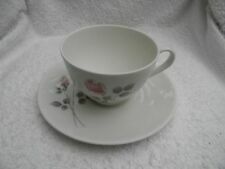 ROYAL DOULTON BONE CHINA CUP & SAUCER. Here are a superb set of saucers by Royal Doulton in the art deco Tango pattern. The Tango pattern is in a blue colourway, with strong and vibrant colours. This is a set of superb stylish saucers. Royal Grafton China Cup & Saucer, Burgundy and Gold Design, " Majestic"
Collector's plates. - Watches – including our ever popular range of pocket watches. - Fancy dress. We will also gift-wrap most of our catalogue for a small fee. - Collectables and curios. Vintage Royal Doulton Glamis Thistle H4601 Trio Cup Saucer & Plate 1938? Lovely Royal Doulton Glamis Thistle Trio as pictured. Used, very good condition for 80?. years old. In great condition. I believe this pattern went from the 1930s to 1960s, this example has R1938 stamped on it which may be the year. With lid it is 13cm tall. 2 X SOUP COUPES & SAUCERS. 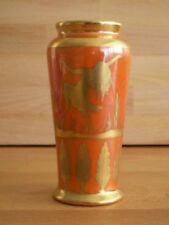 ROYAL DOULTON "THE VERNON". Royal Doulton LEEDS SPRAYS Trio. Consists of Cup, Saucer & side Plate. In good condition for age, but cup has a fleabite chip, saucer is crazed & plate has a small chip to rim. Bears the Royal DoultonLeeds Sprays backstamp. This is very pretty Royal Doulton Soft/pale Pink Roses Trio Cup and Saucer and plate E4882 Rose pattern 1951. Lovely addition to any mis- match afternoon tea set or Royal Doulton collection. Although previously owned, this cup and saucer is in good condition. I have been unable to remove the 'dirt' marks on the inside as shown in the last photo. RARE EARLY ROYAL DOULTON SET. CAN BE DISPLAYED WITH THE LARGE OR SMALL CUP. Condition is fair although has a fair bit of ware to gilding around rim and a fair bit of age related crazing. Hence price. 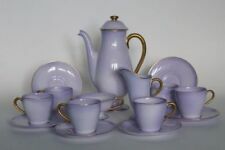 Royal Doulton Norfolk breakfast trio. Makers Marks: “Royal Doulton” and “Made in. The pieces are in excellent condition for age (1920's). The pattern is strong and vibrant and the pieces are clean with no staining. The bowl itself has a small chip on the base but this can barely be seen when the bowl is standing as the final picture shows. Royal Doulton Saucer and Plate. This was produced in 1929 and is from the series "Old English Gardens - H3873. Saucer - 13.5cm. Tea Plate - 14.5cm. RARE ROYAL DOULTON SERIESWARE ART DECO DUO - PANSIES D4049 - PERFECT !! Any white areas in my photographs are purely light reflection. OLD ROYAL DOULTON. MADE IN AROUND c 1932. 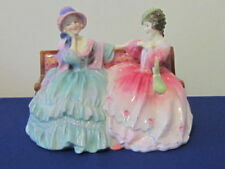 This is a rare and not often seen piece This variety of Dickens Ware is done in low bas-relief and is hand painted. in Australia notation on the backstamp- reportedly it was intended for that particular market. We will also gift-wrap most of our catalogue for a small fee. In very good condition. - Collector's plates.